I love Chocolate Cake and I try not to make it as often as I crave it because you know what happens to your waistline if you do. 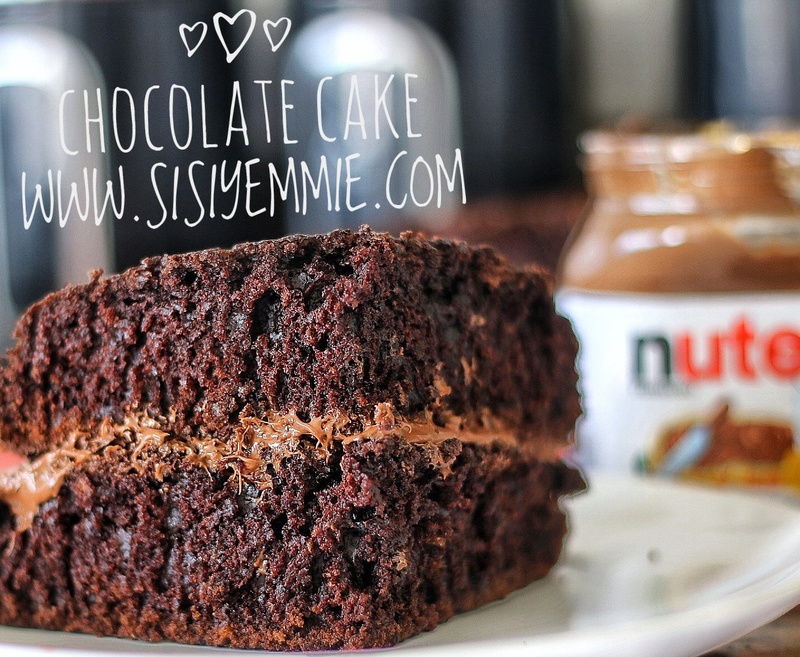 This chocolate cake recipe is easy as the rest of my recipes. You will love it! This is the perfect "pick me up" when you've had a bad day. You definitely should SUBSCRIBE to my YouTube Channel by Clicking HERE to see ALL the recipes I have. Warning: DO NOT copy my recipe text to your blog or website without my consent! You can share my videos but don't copy my recipe TEXT! Add all dry ingredients together in a bowl and mix all well combined: flour, salt, cocoa powder, baking powder, baking soda, Sugar. Add all wet ingredients together and mix: egg, warm water, milk, vanilla essence, vegetable oil. Bake for 28-35 minutes. To know if it is ready, insert a tooth pick and if it comes out dry, then it is ready. Allow to cool before taking the cake out of the baking pan. Will try this soon. Tried your banana bread recipe & it really came out good. Thanks a million Sisi Yemmie. Made the chocolate cake on valentine day. Was really easy to make & tasted great. Perfect, kids are on half term I will be making this! Wow, this looks so yummy. I always try out most of your recipes and I definitely need to try this out too. Thanks so much for sharing! God bless! This looks really yummy, even though I am not a chocolate lover, I will give this a try for my hubby. meanwhile if you are interested in northern nigerian food then checkout my website www.kandymusa.com.I also make youtube videos, my kunun aya recipe was recently posted on bellenaija, you can check it out. I made it yesterday and it was really delicious. Thanks for the recipe!